Meet the two newest battle buddy service dog puppies in training, Sgt T, and the little chocolate lab (yet to be named). 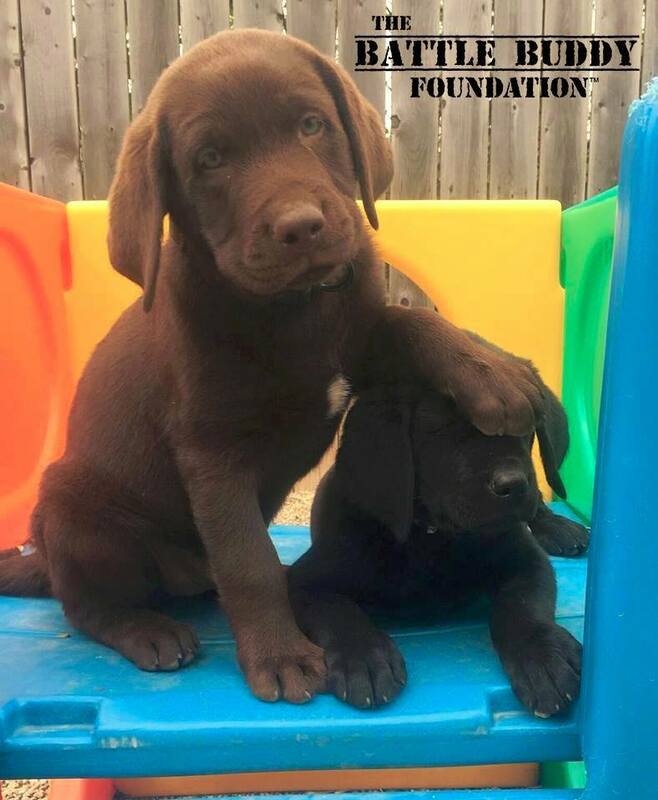 These pups came from C&B Labradors, the little chocolate lab was donated by C&B Labs, and the black lab, Sgt T was purchased and donated to TBBF by a Vietnam veteran, Bob. We know they will go on to do great things for their handlers!